Arthritis is often associated with joint pain and inflammation. Living with this condition can be tricky due to its symptoms which include pain. But, you can still cope with the disease through the tips below. To be diagnosed with a lifelong condition can be scary. One would think that arthritis would lead you to become fragile and not do anything you like. There can be a lot of concerns about the occurrence of pain and other things associated with this condition. Don’t fail to talk to your doctor about your health concerns. As health professionals, they can shed some light on your condition as well as address your concerns. They may prescribe you with medications, suggest certain activities, and even recommend Home Health Care in Alexandria, Virginia. The food that you eat can greatly impact your condition. You must always strive to eat a healthy diet consisting mostly of whole foods, fruits, and vegetables. Don’t forget to include a good amount of Omega 3 and Vitamin D-rich foods. While a healthy diet may not cure arthritis, it can surely help ease its symptoms. 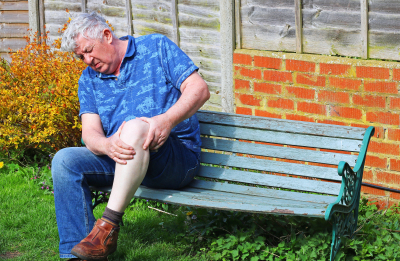 Having arthritis does not mean you shouldn’t move at all. You should do the contrary. Know what you can and cannot do by discussing the matter with your doctor. Find out which exercises are safe for you to do, considering your current state and physical limitations. A Home Health Care provider may even help you in performing such exercises. Apply cold or heat packs on the painful area. Learn meditation and breathing techniques as well as relaxation. Remember, you are not the only one who is living with arthritis. There are lots out there. Join a support group to learn more about your condition, know the experiences of other individuals and acquire other techniques that can help you in managing arthritis. Another type of support you might want to consider is getting a Health Care Service in Virginia. If you need assistance in doing things that you have difficulties completing due to your condition, a provider can do them on your behalf. Get such assistance from our team at Galaxy Home Health Care LLC. To find out more about how we can help you in your situation, please don’t hesitate to get in touch with us now! This entry was posted in Home Health Care and tagged Arthritis, Exercise, health care, healthy life, Personal Care, Senior care, Skilled Nursing. Bookmark the permalink.